Single? That’s ok! In fact, it’s awesome! Being single is a great opportunity to do what you want to do and be who you want to be. Get comfortable with yourself because you are responsible for your happiness and being single has increasingly become an acceptable status in pop culture. 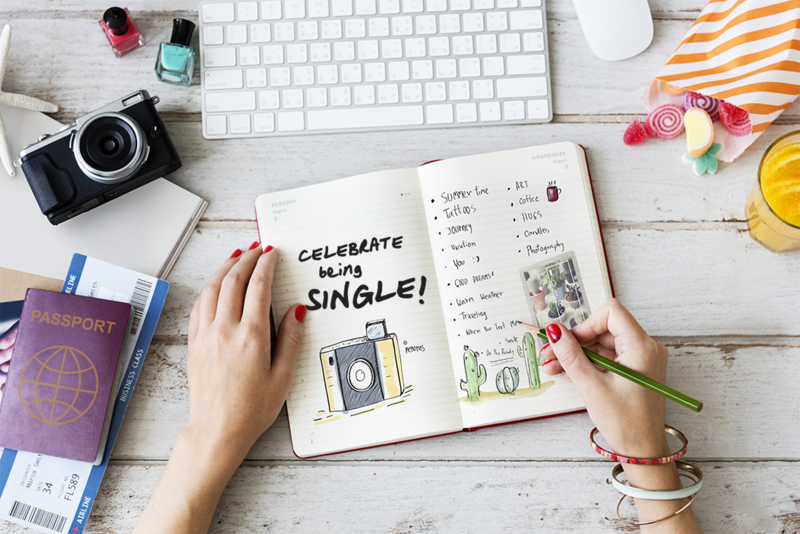 When you’re single, you have the freedom to set time aside for yourself and for the things you love to do, some perhaps that you couldn’t necessarily accommodate in your life if you were answerable to a partner. Take a moment to honor your freedom and celebrate yourself. You don’t have to give up on your fairytale ending, but before you completely commit to someone, you must learn to love yourself first and foremost. 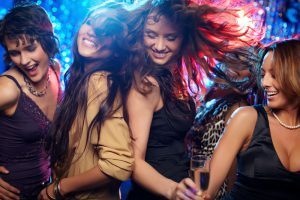 Here are some tips on how to live it up as a single, some that may even help you discover new facets of yourself. It’s the end of the week. You’re exhausted, but want to have some fun, so you book a hotel room at a desired place you’ve been longing to go, and you head straight there – no “partner-opinion” need be sought. In fact, that makes life brilliant, because there are amazing last minute deals available via dubli.com, that will earn you Cash Back when you make your purchase. Your relaxed life demands a little bit of preparation. Your routine revolves around you. Late night partying or netflixing over the weekend? No shame. You have the freedom to sleep in all day with no one nagging you to wake up and expect breakfast to be made for them (..cough cough 1950s cough cough..) It’s the dream. They call it freedom. Fun fact: Two-thirds of a cat’s life is spent sleeping. And given how fast and proud our four paw pals are, what an admirable trait to share. Forever is in their acronym: Best Friends Forever. They aren’t BFWINBMPs (Best Friends When I’m Not Busy With My Partner). If you and your BFF have a mission, you can make it possible any time you want – no interferences. Girls-night at your place this weekend? While you’re doing your Singles Day e-shopping, why not pick up a few Super Stylish Home Accessories that’ll make everyone’s selfie-backdrops pop! You’re single, so get out there and have some fun! Take your chances with meeting other people. 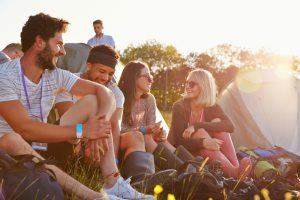 It’s a great chance to make connections and explore places in your area (and even have a few free meals).You never know who you could meet, a lifelong friend, a future business acquaintance, hey, you may even meet the one! But wherever you go, and whomever you meet, it’s always nice to scent the scene and make a lasting sweet-smelling impression. Pursue your dreams and establish your best life without distractions. In the movies, they fall in love, embrace, and the credits roll. In reality, they fall in love, embrace, then realize they haven’t planned for the other’s goals, schedules, and dream fulfillments. Love is found when schedules sync. But people aren’t devices and lives aren’t apps. You have the chance to create new goals every day and do everything you can to achieve them. You don’t have to worry about impressive gifts. Everything you buy is a gift for yourself… but be wise and shop via dubli.com so you can save up for even more treats! It’s rookie relationship misconception: “There are two of us, so two incomes.” 🙂 Ummm… 😐 More like “There are two of us. Two sets of bills and shopping lists.” Being single means being in control of everything. And this has made you an organized person. So, essentially, you are more skilled at managing your life for being single. Now that’s something to celebrate! And while you managing your life, don’t forget that you could be earning Cash Back for all of the purchases you make via dubli.com. Singles Day falls on 11/11 (November, 11) every year, and singles all over the world proudly and happily celebrate their identities, their individuality, and their unity as their fingers hit the buy button and they give back to the person making all of their dreams come true… themselves.